An oversized lettered edition (limited to 26 copies) signed by Ray Bradbury and housed in an illustrated traycase. 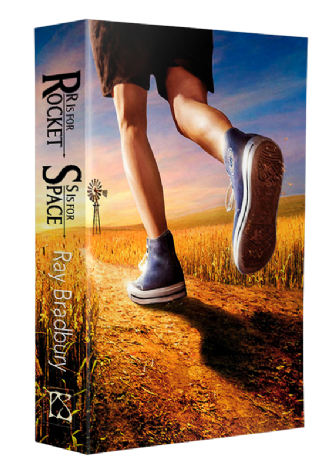 An oversized lettered edition (limited to 26 copies) signed by Ray Bradbury and the artists and housed in an illustrated traycase and including the collections R IS FOR ROCKET and S IS FOR SPACE, with each story featuring a specially commissioned greyscale illustration from Glenn Chadbourne. In a career spanning more than seventy years, Ray Bradbury has inspired generations of readers to dream, think, and create. A prolific author of hundreds of short stories and close to fifty books, as well as numerous poems, essays, operas, plays, teleplays, and screenplays, Bradbury was one of the most celebrated writers of our time.